Dubai state-owned port operator DP World launched on Thursday a $101 million project to expand a port in the breakaway region of Somaliland. Somaliland broke away from Somalia in 1991 and has acted as a de-facto independent state since then but is not internationally recognized. The United Arab Emirate's Dubai government owns DP World. The port in Berbera exports camels to the Middle East and imports food and other items, but Somaliland hopes it will provide an alternative for neighboring Ethiopia - a landlocked country of 100 million which relies on Djibouti for its trade. On Thursday, DP World said the first phase of expansion will consist of constructing a 400-metre quay as well as the development of a free-zone, with Emirati firm Shafa Al Nahda the contractor. 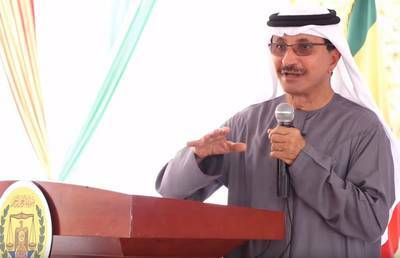 "Because when DP World came to Berbera, there was attention from other countries and big business companies because most of them were thinking that Somaliland was not a recognized country and ignored the peace and stability in Somaliland," he said in a press conference in Hargeysa.